Does the SCC finally see the light on customer-owned solar? 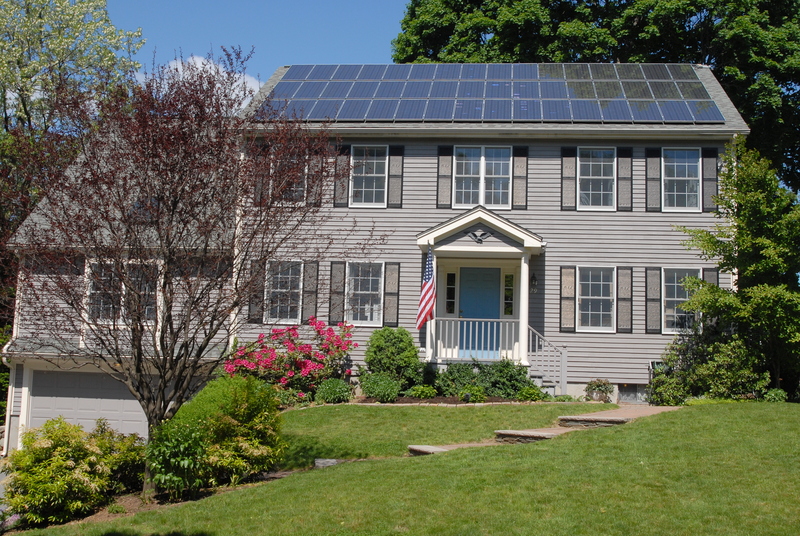 Almost four years ago, Virginia’s State Corporation Commission (SCC) approved a request from Appalachian Power to impose “standby charges” on grid-connected homeowners who installed solar arrays between 10 and 20 kilowatts (kW). The approval came not long after the SCC had given the same authority to Dominion Power (now Dominion Energy Virginia). The standby charges, dubbed a “tax on the sun,” effectively shut down the market for these larger home systems. Since then, Virginia utilities have made no bones about their desire to dismantle the rest of the Virginia law that has enabled the growth of the private solar market. The law permits solar owners to “net meter,” giving them credit at the retail rate for the electricity they feed onto the grid on sunny days, and letting them use that credit when they draw electricity from the grid at other times. Utilities say net metering customers don’t pay their fair share of grid costs. Solar advocates say the subsidy runs the other way: both the utility and society at large benefit when more customers install solar. Independent studies find the “value of solar” to be above the retail rate; utility-funded studies find much lower values. In Virginia, the debate continues to rage, but in 2014, at least, the SCC came down squarely on the utility’s side. Fast forward to 2018. This year the General Assembly passed a law called the Grid Transformation and Security Act that, among other things, envisions an electric grid of the future that incorporates distributed generation like rooftop solar. And suddenly the staff of the SCC sees customer-owned solar in a new light. Members of the Commission staff filed testimony last month in response to Dominion’s 2018 Integrated Resource Plan, which proposes large amounts of utility-built and owned solar. Associate Deputy Director Gregory Abbott devoted much of his testimony to bashing Dominion’s solar plans. These are, of course, precisely the arguments made by advocates for distributed solar. The support from SCC staff comes at an opportune moment, as the Northam Administration considers making distributed solar a centerpiece of its new Energy Plan. It could also complicate Dominion’s efforts to limit and penalize customer investments in solar. Last year Dominion’s opposition doomed a raft of bills intended to make it easier for customers to use Virginia’s net metering law. When solar advocates try again in the 2019 session, having the support of the SCC could change the minds of legislators who, until now, have been happy to accept Dominion’s arguments. All this assumes the SCC commissioners agree with their staff on the value of customer-owned solar to the grid. If they do, it could signal a new day in Virginia for customer-owned solar. This article originally appeared in the Virginia Mercury, the new, non-profit on-line news source founded by Robert Zullo, formerly a reporter for the Richmond Times-Dispatch. Want more solar in Virginia? Here’s how to get it. If there is an energy issue that Republicans and Democrats can agree on, it is support for solar energy. It’s homegrown and clean, it provides local jobs, it lowers our carbon footprint, and it brings important national security and emergency preparedness benefits. Dominion Energy Virginia even says it’s now the cheapest option for new electric generation. Yet currently Virginia lags far behind Maryland and North Carolina in total solar capacity installed, as well as in solar jobs and the percentage of electricity provided by solar. And at the rate we’re going, we won’t catch up. Dominion’s current Integrated Resource Plan calls for it to build just 240 megawatts (MW) per year for its ratepayers. How can we come from behind and score big? First, our leaders have to set a serious goal. Virginia could create more than 50,000 new jobs by building enough solar to meet just 10 percent of our electricity demand by 2023. That requires a total of 15,000 MW of solar. Legislators should declare 15,000 MW of solar in the public interest, including solar from distributed resources like rooftop solar. The General Assembly should consider a utility mandate as well. Our weak, voluntary Renewable Portfolio Standard (RPS) will never be met with wind and solar, and making it mandatory wouldn’t change that. (To understand why, read section 4 of my 2017 guide to Virginia wind and solar policy, here.) Getting solar into the RPS would require 1) making it mandatory; 2) increasing the targets to meaningful levels (including removing the nuclear loophole); 3) including mandatory minimums for solar and wind so they don’t have to compete with cheap renewable energy certificates (RECs) from out-of-state hydroelectric dams; and 4) providing a way for utilities to count the output of customer-owned solar facilities in the total, possibly through a REC purchase program to be set up by the State Corporation Commission. The other way to frame a utility mandate would be to ignore the RPS and just require each utility to build (or buy the output of) its share of 15,000 MW of solar. Allowing utilities to count privately-owned, customer-sited solar towards the total would make it easier to achieve, and give utilities a reason to embrace customer investments in solar. Standby charges on residential solar facilities between 10 and 20 kilowatts (kW) should be removed. 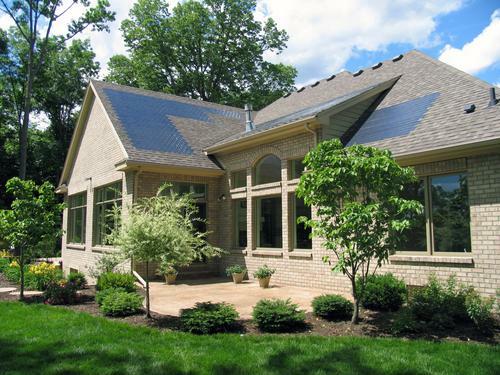 Larger home systems are growing in popularity to enable charging electric vehicles with solar. That’s a good thing, not something to be punished with a tax. The 1% cap on the amount of electricity that can be supplied by net-metered systems should be repealed. Currently customers cannot install a facility that is larger than needed to serve their previous year’s demand; the limitation should be removed or raised to 125% of demand to accommodate businesses with expansion plans and homeowners who plan to buy electric vehicles. Customers should be allowed to band together to own and operate solar arrays in their communities to meet their electricity requirements. This kind of true community solar (as distinguished from the utility-controlled programs enabled in legislation last year) gives individuals and businesses a way to invest in solar even if they don’t have sunny roofs, and to achieve economies of scale. If community solar is too radical a concept for some (it certainly provokes utility opposition), a more limited approach would allow condominiums to install a solar facility to serve members. Local governments should be allowed to use what is known as municipal net metering, in which the output of a solar array on government property such as a closed landfill could serve nearby government buildings. Third-party power purchase agreements (PPAs) offer a no-money-down approach to solar and have tax advantages that are especially valuable for universities, schools, local governments and non-profits. But while provisions of the Virginia Code clearly contemplate customers using PPAs, Virginia utilities perversely maintain they aren’t legal except under tightly-limited “pilot programs” hammered out in legislation enacted in recent years. The limitations are holding back private investment in solar; the General Assembly should pass legislation expressly legalizing solar third-party PPAs for all customers. Third, the Commonwealth should provide money to help local governments install solar on municipal facilities. Installing solar on government buildings, schools, libraries and recreation centers lowers energy costs for local government and saves money for taxpayers while creating jobs for local workers and putting dollars into the local economy. That makes it a great investment for the state, while from the taxpayer’s standpoint, it’s a wash. If the state needs to prioritize among eager localities, I recommend starting with the Coalfields region. The General Assembly rightly discontinued its handouts to coal companies in that region, which were costing taxpayers more than $20 million annually. Investing that kind of money into solar would help both the cash-strapped county governments in the area and develop solar as a clean industry to replace lost coal jobs. Coupled with the ability to use third-party PPA financing, a state grant of, say, 30% of the cost of a solar facility (either immediately or paid out over several years) would drive significant new investment in solar. Fifth, Virginia should enable microgrids. Unlike some other East Coast states, we’ve been lucky with recent hurricanes. The unlucky states have learned a terrible lesson about the vulnerability of the grid. They are now promoting microgrids as one way to keep the lights on for critical facilities and emergency shelters when the larger grid goes down. A microgrid combines energy sources and battery storage to enable certain buildings to “island” themselves and keep the power on. Solar is a valuable component of a microgrid because it doesn’t rely on fuel supplies that can be lost or suffer interruptions. The General Assembly should authorize a pilot program for utilities, local governments and the private sector to collaborate on building solar microgrids with on-site batteries as a way to enhance community preparedness, provide power to buildings like schools that also serve as emergency shelters, and provide grid services to the utilities. One way or another, solar energy is going to play an increasingly large role in our energy future. The technology is ready and the economics are right. The only question is whether Virginia leaders are ready to make the most of it in the coming year. The State Corporation Commission has granted Appalachian Power Company’s request to be allowed to impose “standby” charges on residential customers with solar systems over 10 kilowatts. The charges can range up to more than $100 per month, regardless of how much electricity the homeowner actually draws from the grid. Environmental groups intervened in the case and ran a grassroots campaign that generated over 1500 comments to the SCC, opposing what has been dubbed a “tax on the sun.” The result, however, was never in much doubt. The SCC has repeatedly demonstrated a willingness to accept without scrutiny utility assertions that solar customers impose costs on other customers. Jaffe added, “We saw that piece of evidence as a fatal concession, at least with respect to the distribution portion of the charge.” Yet a reading of the Final Order suggests the Commission never even considered the point. The SCC allowed APCo, like Dominion before it, to consider only transmission and distribution costs, ignoring generation costs for now. Advocates urge that solar systems produce power at times of peak demand, reducing the need for utilities to buy expensive peak power, and therefore actually saving them money. The utilities dispute this, but it is worth noting that APCo’s most recent Integrated Resource Plan from March of this year projects that solar power will be cheaper than its avoided cost of energy by 2019. But of course, the point of standby charges isn’t about the cost of solar, but about preventing customers from generating their own power. In spite of all the time and money APCo has spent to get approval for the standby charges, the utility has said that only five existing customers will be affected. The real impact will be to limit the number of homeowners who choose to install large solar systems going forward. The prospect of paying high standby fees will likely discourage APCo customers from buying systems over 10 kW, as has happened in Dominion’s territory after the SCC allowed Dominion Virginia Power to impose similar standby fees a year ago. Although a 10 kW system is bigger than the average Virginia home needs by itself, people with electric cars can find their demand exceeds that limit. Moreover, Dominion Virginia Power has signaled that it would like to impose standby charges on all of its solar customers, regardless of system size. The actions of Virginia utilities and the SCC put the commonwealth in the thick of a nationwide battle over customer-owned, “distributed” solar. While most studies analyzing the value of solar have concluded that distributed solar benefits the public and the grid, utilities fear it will eat into their profit margins. They see Virginia as a good place to establish a precedent friendly to the utility viewpoint, due to the commonwealth’s history of allowing its utilities to dictate energy policy. So far, this episode proves them right. Utilities want solar owners to pay for grid access. Photo credit: NREL. Rooftop solar energy makes up a tiny fraction of the total electricity produced in America, but already utilities worry about a day when large numbers of their customers won’t need them any more. As renewable energy costs continue to tumble and the technology of battery storage improves, many residents and businesses may abandon their power utility to go it alone or form microgrids within their communities to control their own power. Some utilities understand that this is the future and are looking for ways to turn these trends to their advantage. Others are doing everything they can to protect their turf, and progress (and the environment) be damned. They figure they can’t wind up on the wrong side of history if they stop history from happening. Hence the attempt to throttle solar while it’s still little. Caps on system sizes, caps on total amounts of distributed generation, prohibitions against third-party power purchase agreements, restrictions on net metering: all of these are efforts to keep solar too small to matter, and too small to achieve the economies of scale that could lead to an upending of the central utility model. This same debate played out this year in Arizona, which saw its solar industry install 719 MW in 2012—still a tiny percentage of that state’s total energy supply, but one that is growing fast enough to warrant the discussion. Last week the public utilities commission agreed to allow Arizona Public Service Company (APS) to charge its residential solar customers an average of $5 per month. The utility treated the ruling as a win, and indeed the charges might eventually add up to enough to cover APS’s attorney fees in the case. That’s more than can be said about Dominion’s standby charges.